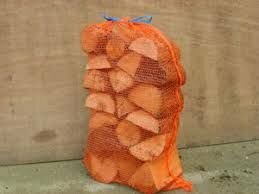 Net of logs - £5 per net. A very generous net of hardwood logs. Wholesale is available for shops and garden centres etc. Please get in touch to discuss.